Design+Culture - A Return to Fundamentalism? 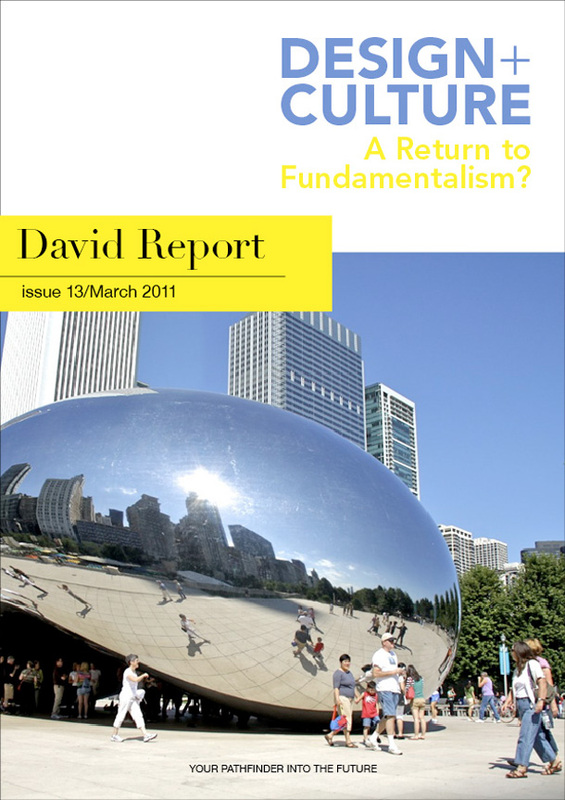 We are happy to announce the new in-depth trend report from David Report called “Design+Culture – A Return to Fundamentalism?“. 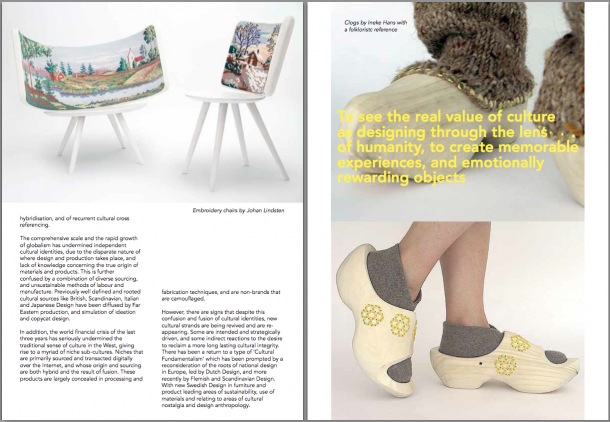 Design has become the embodiment of a larger process of creative ‘culture-mongering’ that has become a means to capture ideation, innovation and enterprise and made to stand for cultural identity. Whilst the application of design is multiplying exponentially, it is losing its validity as a cultural icon. We need to reclaim a more long lasting cultural integrity and return to a type of cultural fundamentalism. –A return to cultural fundamentalism is essential if we are to reengage our tribal past and work toward a a collective local global future. The measure of a civilisation is the strength of its culture. 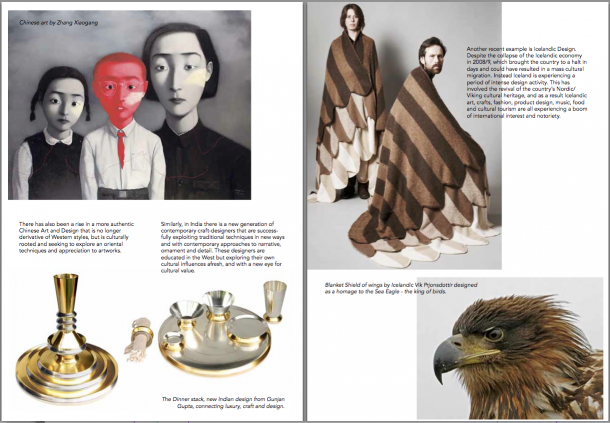 The desire to reclaim a more long lasting cultural integrity is to create memorable experiences, and emotionally rewarding objects, says Brent Richards, co-writer of the new report. 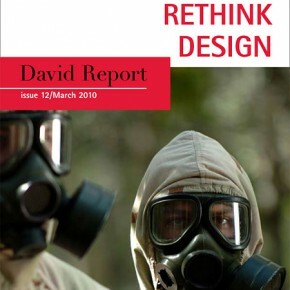 –The new report is no two in a trilogy which started with ‘Time to Rethink Design’. This time we are looking deeper into the relation between design and culture, which is not always as healthy as one would like, says David Carlson, founder of David Report and co-writer of the new report. 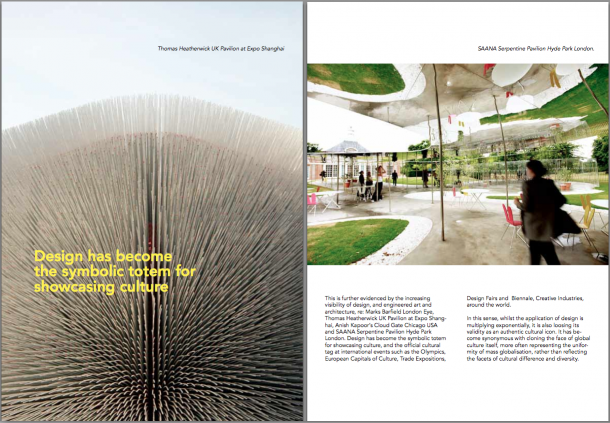 Click HERE to read the Design + Culture report. Below are a couple of spreads.